Jack was formerly Curate Assistant in Taney Parish (Dublin) and Chancellor’s Vicar in St Patrick’s Cathedral. Originally from Lisburn, County Antrim, Jack moved to Dublin in 2002 to read a degree in History at Trinity College. Having graduated, he spent some time working in St Patrick’s Cathedral, where he was also a Lay Vicar Choral, before entering the Church of Ireland Theological College (now Institute). 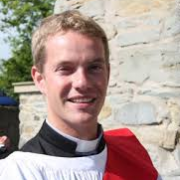 Jack was ordained deacon in June 2010 and served as Curate in the Parish of Cregagh, in Belfast (Down and Dromore). He became Curate Assistant in Taney in 2013 and took up the position of Priest in Charge of Wicklow and Killiskey in July 2015. In December 2017 Rev. Jack Kinkead became Rural Dean of the South-East Glendalough Deanery which comprises Arklow, Kilbride and Inch; Castlemacadam with Ballinaclash; Dunganstown & Redcross with Conary; Rathdrum with Glenealy; and Wicklow and Killiskey. Jack is married to Rachael , who comes from Carlow, is a graduate of Trinity College, and is a Primary School teacher. In his spare time, Jack is a keen singer, golfer, and hill walker. Ken Rue was born in Dublin in 1954 and brought up in Crumlin and Terenure. He was educated in Wesley College where he was voted voted best all-round pupil and received seven honours in his Leaving Certificate. At Wesley Ken played rugby, tennis, cricket and chess and was awarded a provincial schools rugby trial. After school he played hockey and badminton with Dublin YMCA. Ken received a 2.1 Honours Degree in Business Studies from Trinity College in 1975 and trained as a Chartered Accountant. He was admitted to membership of the Institute in 1979 having previously become an Associate of the Institute of Taxation in 1978. He married Lesley Coady in Christ Church Cathedral in 1981 and they have a son, Richard, who was born in 1987. Ken worked as an audit manager with Ernst and Young (1978-1982). He joined the industrial holding company, DCC, in 1982 and worked there as Finance Director and Company Secretary until 1992. He represented DCC as a non-executive Director on the boards of two publicly quoted companies. He left to become Managing Director of Fodhla Printing (1992-2007). Ken felt a call to train for Ordination in the Church of Ireland and resigned his position with Fodhla to allow time for study. He was appointed as part-time Accounts Manager with Messenger Publications in 2008 and also as Financial Controller of the Pioneer Association in 2009. Recently he took over the financial management of the Quarterly Review “Studies”. Ken has served on the Boards of three charities. He is involved in assisting projects in Shyogwe Diocese, Rwanda, including raising €128,000 for a water project there. He became a Canon of Shyogwe Cathedral in 2007. Ken was Ordained a Deacon in 2010 and a Priest in 2011. He is currently the curate of Killiskey Parish. 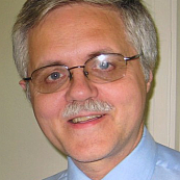 Ken also chairs the Diocesan Council for Mission and compiles the Church of Ireland’s yearly lectionary.